Are you ready for Valentines Day? Whether you love or hate de date you are going to love our party! It's an awesome fast-paced virtual event full of fun and interesting tips that uses the Twitter platform. It usually lasts for an hour, and it's a great way to meet new people and discuss with others about a topic by using the party's hashtag (in our case #BrushloveVday). 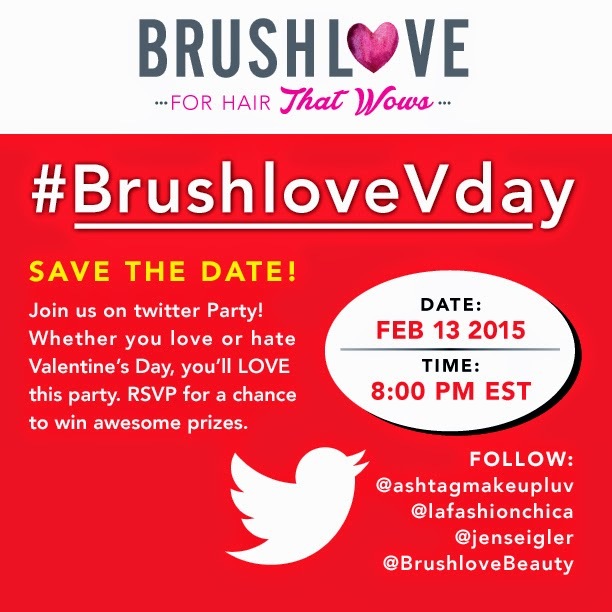 Follow @brushlovebeauty and our co-hosts on Twitter and join us on February 13th at 8PM EST (feel free to grab a drink and snacks). We'll share tips that will make your valentines day awesome and give away awesome prizes. 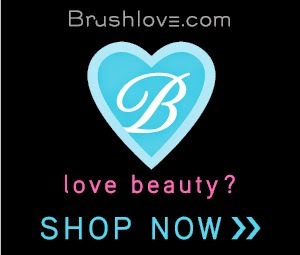 Each time you comment or answer a question use the hashtag #BrushloveVday so that we can track the conversation! Would you be attending our Twitter Party? If so, leave a comment below with your twitter handle and Share on Twitter your RSVP. RSVP @xDSweetBunny13 , Thank you.